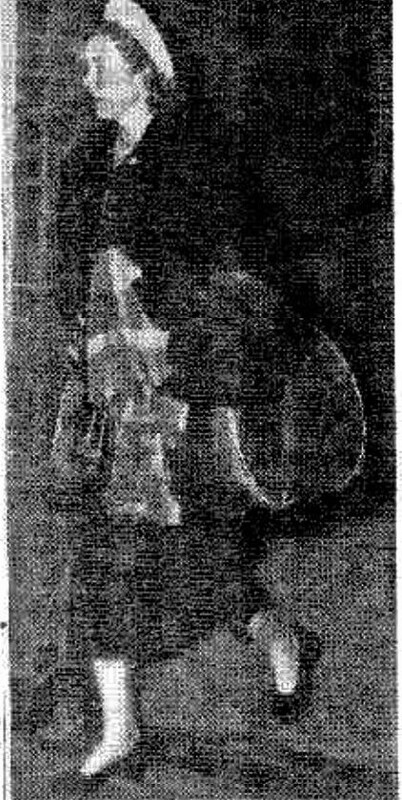 On August 1 1951, a coronial inquiry began into the mysterious death of 39 year old Betty Fleming, wife of well known NSW grazier, Tom Fleming. On June 28 1951, Mrs Fleming died in the car while her husband Tom was driving them home to Mt. Parry station following a shopping trip to Quirindi. Suspicion was aroused when the government analyst discovered traces of the poison cyanide in her vital organs. It had also seemed odd that Fleming claimed not to have realized his wife had died until stopping to open the boundary gate to the property. Surely she would have slumped over during the often bumpy, 30 mile trip from Quirindi? Remember this was long before seat belts and bucket seats. Investigations revealed that 43 year old Tom Fleming had been having an affair with Norma Catherine Lokkerbol, once employed as Betty Fleming’s ‘lady’s help’ on Mt. Parry station. There was now a clear motive, and Fleming was duly charged with the premeditated murder of his wife by poisoning with cyanide, probably administered in a glass of beer. Since Mrs Fleming was aware of her husband’s infidelity the possibility that she had taken her own life could not be dismissed. This would become the main argument for the defence. The chemist at Qirindi testified that Tom Fleming purchased ¾lb of cyanide on July 24 1950. He said he used it to fumigate silos at Mt Parry. Five days later he disposed of the empty tin in a creek. If Betty Fleming planned to take her own life she had a very brief window of opportunity to obtain some of the poison. In Tom Fleming’s office, detectives found three Minties which had been cut open and poisoned with cyanide. The sweets were discoloured, and had obviously been there for some time. Did this indicate an experiment in preparation for premeditated murder? The only other possibility was that Betty Fleming did commit suicide, and left the ‘doctored’ Minties to implicate her husband. Minties were found in several of her handbags. The fact that Mrs Fleming visited her solicitor regarding her will on the day of her death was interpreted differently by the defence and prosecution. Was it an indication that she was about to take her own life? Or did her husband know about her appointment and seize an opportunity for murder, hoping it would be perceived as suicide? The fact that she did not sign the will that day and planned to do so later was a problem for the defence. An important argument against the theory of murder was that the odour and taste of cyanide even in a bitter glass of beer, would make it almost impossible for someone to drink it unintentionally. At the inquest, Norma Lokkerbol was called to give evidence about her sexual relationship with Tom Fleming. There was no suggestion that she was in any way involved in Mrs Fleming’s death. Naturally her presence created huge interest, and she was hounded by the press both at Quirindi and in Sydney. The photo below was snapped outside Strathfield station as she returned home to Hurlestone Park. 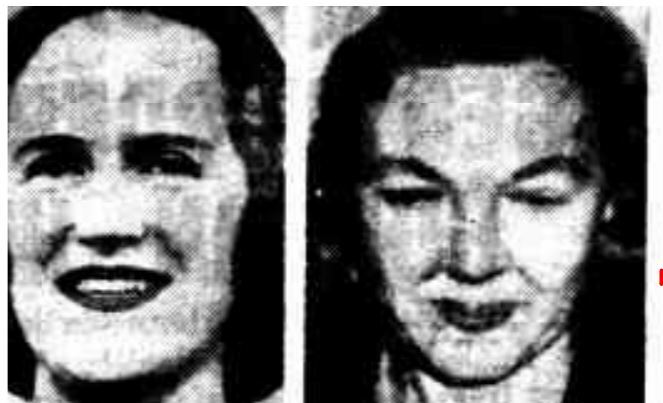 The Coronor found that Betty Fleming died in a car on June 28 from the effects of cyanide poison, willfully administered by her husband. He further found that Fleming had feloniously murdered his wife. He committed Fleming for trial at Tamworth on August 28. June4 – Just long for boys to be home from school. Tom out all afternoon. Mail again and writing tonight. I wish he would tell me the truth. Hardly speaks. June 5 – Hardly any sleep and feeling awful. If he would only give me a few kind and civil words. June 7 – Another awful day. Realize how final and terrible this is, and what a stupid, senseless fool I’ve been. Would undo all if I could. June 8 – One week of tearful, awful loneliness. June 9 – My heart is like a lump of lead. Terrible, awful loneliness. Children are just wonderful. I adore them. June 13 – Must do something. I am quite sure all is hopeless. Feel so lonely. It was not in Betty Fleming’s nature to share her problems, even with close friends and family. The diary appeared to be a safety valve, where she could express her unhappiness. How terrible that her privacy should be invaded after her death, and used by the defence. It was suggested that she was depressed because she was menopausal, and that she was mentally unstable. 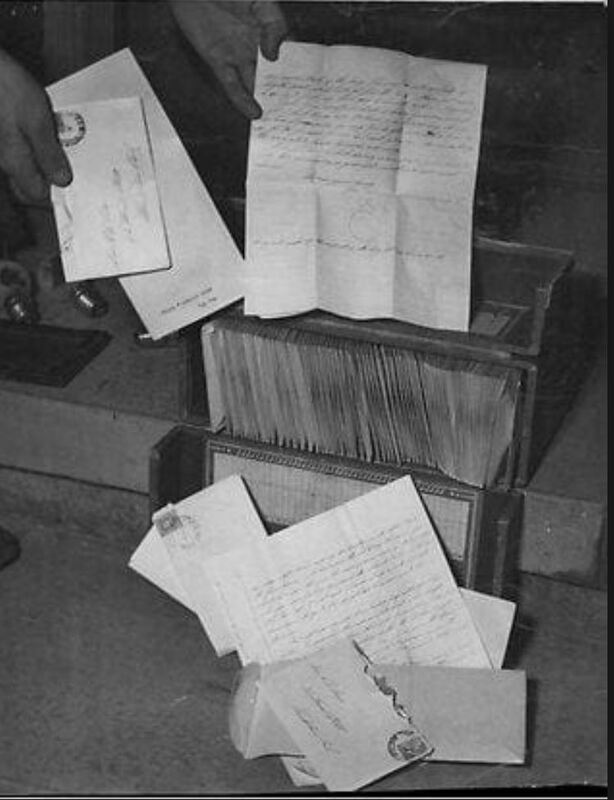 During the period beween June 1950 and July 1951, Tom Fleming wrote 99 letters to Norm Lokkerbol. July 17 1950 – You will always be a happy memory to me darling, and I hope more than a memory before very long. July 19 1950 – Some mornings it has been quite cold early, and I have found myself wishing it was you I was pulling closer to me and cuddling. I am now waiting for that day again. July 24 1950 – I am down-hearted because I am not with you. I am like a lamb without its mother and longing to be with you. I miss you darling, more than words can explain. In other letters of he spoke of their future honeymoon, and of buying his beloved a trousseau. Such talk was foolish in the extreme, considering there was no likelihood of a divorce. 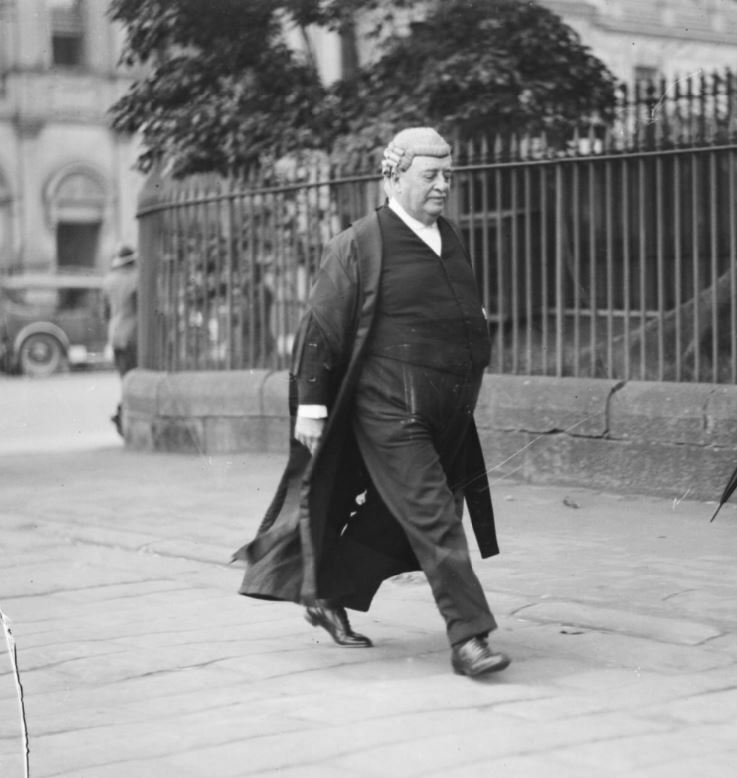 His barrister suggested that Fleming was not very intelligent. He had attended the prestigious Scots College in Sydney and left at twenty after failing the intermediate certificate three times. The final letter was written to Mrs Lokkerbol on June 27 1951, the night before Mrs Flemings death. Another, unposted letter became important in the case. It was written by Betty Fleming to her sister Nan (married to Tom Fleming’s brother Joseph), dated February 17 1951. If I should die before my children re grown up, will you, if it is in your power, see that a certain person, Mrs Norma Lokkerbol, known to our household as Miss Rose, has nothing to do with the bringing up of my children? Betty Fleming’s G.P. had testified that in November 1950 she had consulted him regarding lumps in her breast. He reassured her that they were not cancer related. However, the Crown contended that she may still have been worried. They suggested that the appeal to her sister was not a signal of impending suicide, but a sad acknowledgement that Norma Lokkerbol was ‘waiting in the wings’ to take her place if she should die. Judge Clancy reminded the jury that the defendant was under no obligation to prove suicide. It was the Crown who had to prove murder. He said that Fleming was entitled to acquittal if they drew any reasonable inference of innocence from the circumstantial evidence. After a nine day trial the jury retired to consider their verdict. They deliberated for 5¼ hours, from 4.15pm until 9.30pm before returning with a verdict of not guilty. With such compelling circumstantial evidence against his client, the acquittal was a significant victory for Mr Shand. A few days before Christmas Fleming purchased a famous horse stud called Tarwyn Park, at Bylong. He handed Mt. Parry over to his brother Joseph. He said he intended converting the new property to a cattle stud. In January 1952, seven months after his wife Betty died, Tom Fleming married Norma Lokkerbol.